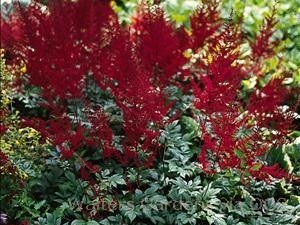 Product Information : Very dark red buds open to deep red flowers with rose highlights. Narrowly triangular plumes are held upright. Leaves are bronze-red in spring, turning mid-green by summer.